The auction, organized by Pierre Bergé and Associates, will take place in Hôtel Salomon de Rothschild. Today you have the opportunity to visit the exhibition and to discover Jackson as you’ve never seen him before. (Read more here). Bani took these photos ten years ago. 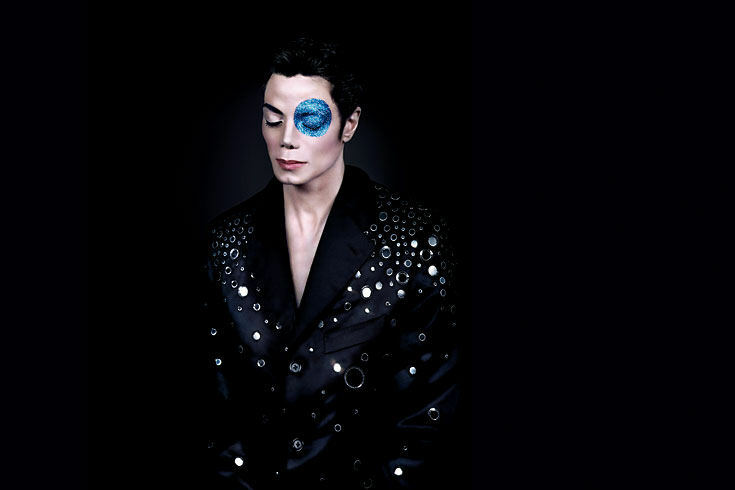 The portrait was destined for the cover of his studio album “Invincible” and Jackson imagined himself as living God. A kind of pharaoh. But Sony didn’t like it. “Invincible” was published with another cover. Too bad. But that’s why these twelve portraits never have been released. Just after the death of Jackson last summer, Bani realized that the rights had reverted back to him and that he would finally be able to sell his work. The highlights of the auction are four large photos and opening bids will start at 1000 Euros (1350 $). For smaller prints and 31 contact sheets bids will start at 500 Euros.